The secret? Electrical propulsion. Although commercial aircraft fully equipped with electric engines is still in the future (after 2030), small electric propulsion platforms like urbans air taxis are already at prototype stage and could potentially revolutionize air transport. These vehicles will be vertically-launched, eventually autonomous, and electrically-powered. While Thales is known best for its civil and defence electronics, the company is already one of the world's top three suppliers of electrical aircraft power-generation and conversion systems. And Thales's expertise is helping to accelerate the transition through stepped up R&D to develop innovative power-conversion solutions. Among other solutions, Thales is developing a competitive COTS power module, aimed at hybrid and full electric propulsion systems (55 to 500kW), which will meet the civil avionics operational and qualification requirements in terms of temperature range, reliability, robustness and power density. The module's design is aimed at compact and lightweight systems for typical use case in motor and traction drives, static converters and actuators. The target is a 1200V full-SiC phase-leg (half-bridge) module which includes freewheeling SiC Schottky diode and is able to deliver 500Amps. The device architecture and the related design will provide very low losses and low stray inductance allowing very high frequency operation and high efficiency at system level. Its packaging (62x110 mm²) offers low-weight, thanks to an AlSiC baseplate. Besides, the combination of I/O topology and form factor will allow ease of paralleling, thus facilitating power scalability. The distinctive combination of innovative materials and assembly techniques will also provide high power cycling reliability (up to 500K cycles for 50°C delta T°) together with an extended temperature range: Tcase from 55°C up to +125°C; max junction temperature Tj = 175°C. Moreover the junction to case thermal resistance of the MOSFET switches is reduced to 0.08°C/W allowing a limited current derating with Temperature. 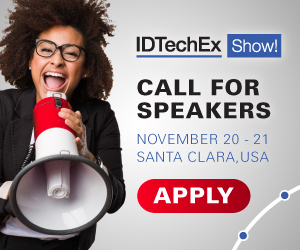 Meet THALES on booth J10 at the IDTechEx Show! in Berlin on 10-11 April 2019.